Anyone Know Anything About ''hat Men''? A few years ago I was standing in front of the stairs in my house, talking to my mother and noticed somebody was coming down the stairs in the dark. At first I just thought it was my brother and didn't pay it much thought, but after a couple minutes I remembered that my brother wasn't there, he had slept out that night, and that nobody was upstairs. I looked back at the stairs and this silhouette figure of a man wearing a hat was standing about two feet away from me on the bottom step, just looking at me. It was scary as eff! I ducked away from it and then when I glanced back at it again it was gone. I thought I had imagined it until I decided to look it up one day and was able to find pictures of it! I was quite relieved to see that it was an actual thing, and that I'm not the only one who has seen it, but I haven't been able to find any information at all about what it is, except that it is a hallucination experienced by people who stay up for days on meth lol. (I have never done meth.) and even still, isn't it kind of strange that it is typical for people who have been up for days on meth to see the same figure of a silhouette man wearing a hat? . Sounds like a shadow ghost. Some of them wear hats. While various characters can appear in this form, typically, a figure like the one you described is an intelligent entity that's attracted to and interested in people. Generally speaking, the more they observe and learn, the more troublesome they get. They go from simply hanging about to actively trying to influence people for their own ends. Thanks for the reply!! It's great to finally have some answer about what it is and why it was there lol. I've been kinda worried ever since that I was going to see it again haha, So knowing that it just wanted to observe humans makes me feel better. You say this was a few years ago? Anything happen since then? Are you still in the same home Scarlet? Yes I am! There was a lot of other stuff going on around that time as well, it seems to have all stopped after I had my baby. I haven't seen shadow people with hats on but I have heard of them. I have seen something that took on my partner's appearance. It walked across the doorway of the bedroom. At first, I thought he had woken up to go into the ensuite but when I walked down the hallway into the bedroom he was still in bed asleep. I believe spirits can take on different appearances and I don't see why shadow people can't do the same. As for the meth thing. I suppose the meth addicts are dealing with negativity, so if something negative was there they would be drawn to the negativity. Maybe seeing a shadow in a hat would escalate fear and feed the negativity. And now I am certain they can since I just heard over my left shoulder the sound Hannibal Lecter, made when he spoke about the Fava Beans and Chianti To me it's confirmation to what I had written, I wish that didn't happen! Thanks for the reply ! woah! that is super freaky! I woulda had to sleep with the lights on for at least a month if that had happened to me haha. I read that spirits show themselves how they want the person to see them, by projecting themselves through a persons subconscious or something like that, which made sense to me. and that is a very good point about the people on meth drawing negative energy, perhaps meth addicts have a certain type of energy that draws in these shadow hat creatures lol. I used to have a peeker. I'd be on my computer and it would look in the door see me staring and dart away. I have one that does that, hides in the hallway bathroom, and peaks out into the livingroom, and when you look over, they are gone. Although the sound startled me when it happened. I believe it was confirmation and nothing bad. They have quirky sense of humor. How did these experiences make you feel after you got over the initial shock of seeing it? I just ask because I know fear is normally the first reaction and am curious if you received anything else? ooh the seeker sounds really scary, not for me thanks! forums and found Jim, then became part of his new website ghoststudy! Lol, I have been seeing ghost for a long time, so it's more of an annoyance than anything... I don't like being stared at by spirits or people... lol animals can stare all they want. After the first few times, I'd seen the shadow people in my house, I was unnerved, but now, I get a bit annoyed. I had a "hat man" throw a photo at me when I was around 13/14, it was around 7 foot tall and moved a bit like a tornado. 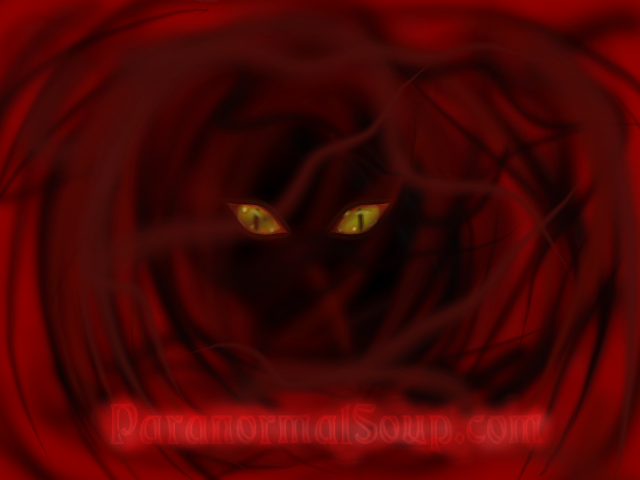 It gave off really nasty vibes too and seemed different to the other shadow entities I see from time to time, as they seem more keen to avoid being seen. PIT leader that sounds really scary. I would have had to wear a depends diapers if that kind of stuff was jumping out or throwing pictures at me while at home.